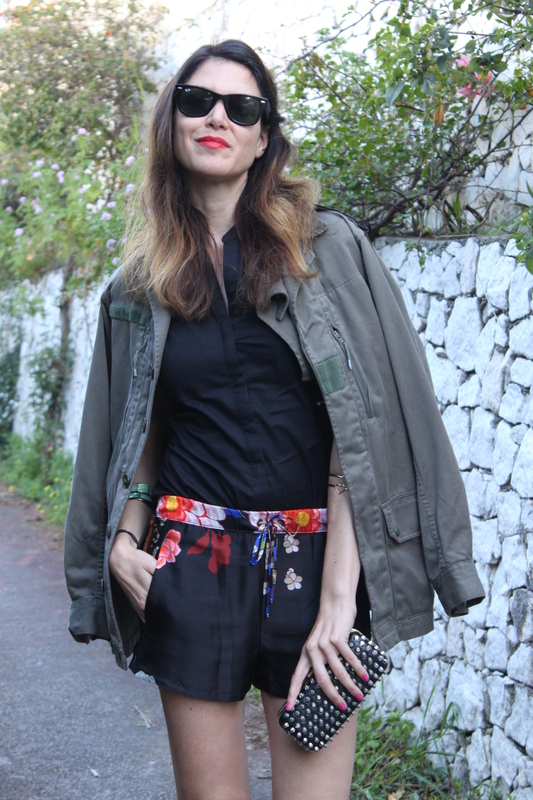 Si mezclamos el estilo militar con un poco de estilo rockero, añadimos un poco de nuevas tendencias como el estilo oriental,-sin olvidarnos del estilo casual y deportivo-. Y todo con un puntito de estilo grunge, el resultado es lo que yo llamo ¡un estilo indefinido! Algo así como Psy con su Gangnam style o su nuevo Gentleman, !ni idea pero me gusta! Al fin y al cabo, la moda es experimentar, crear y divertirse, ¿verdad? Y vosotras, ¿cuál es vuestro estilo?. 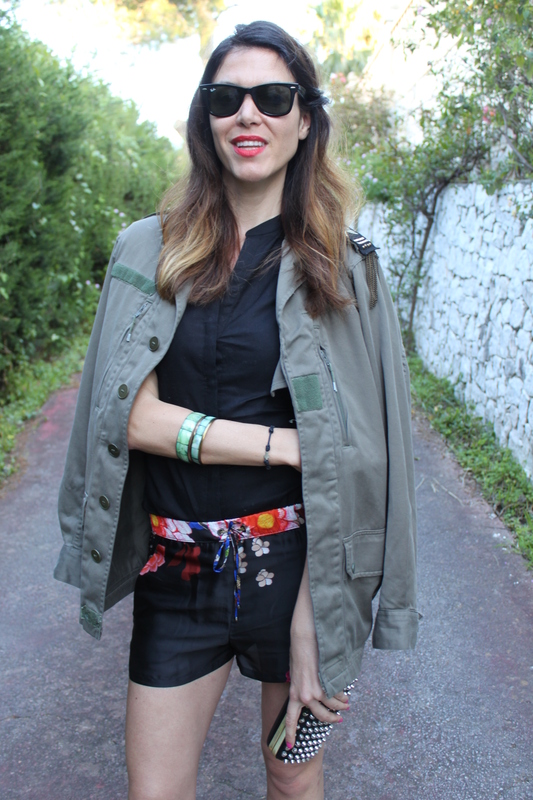 If we mix the military style with a little of rock style, add some new trends like the oriental style (not forgetting the casual and sporty one) and all that with a hint of grunge style, the result is what I call Undefined style! Something like Psy with his Gangnam style or his new Gentleman. No idea what he means but I like it! Fashion is indeed about creating, experimenting and enjoy, right? So let´s! What is your style?. Snearkers: Isabel Marant. Shorts: Zara (ss13). Top: Mango(ss13). Jacket: Some shop in parís. Cluth: Zara. Bracelets: Mango/Tous. Esta entrada se publicó en Fashion y está etiquetada con estilo indefinido, estilo militar, estilo oriental, Gentleman Psy, grunge, isabel marant, Isabel Marant sneakers, mango, Mango Touch, Military jacket, military style, oriental style, rock style, sporty one, sporty style, Zara clutch en abril 16, 2013 por shareasecret.